On the evening of April 2nd, World Autism Awareness Day, thousands of landmarks, businesses, houses of worship, and communities in more than 147 countries marked the seventh annual “Light It Up Blue” campaign to raise global awareness of autism spectrum disorder. 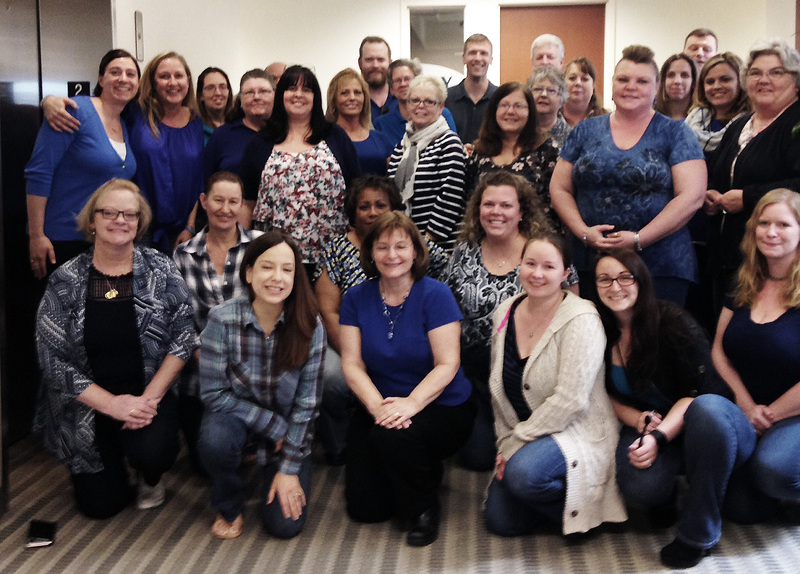 The employees of PARS marked this very special event on Friday, April 1st, by dressing in blue to show their support. . Autism currently affects 1 in 68 children in the United States, according to newly released statistics from the Centers for Disease Control (CDC). The “Light It Up Blue” campaign marked the start of Autism Awareness Month in April. This year, more than 11,000 buildings are joining the campaign in a show of support for the 70 million people around the world who are affected by the disorder. World Autism Awareness Day was adopted by the United Nations in 2007 to focus on autism as a global health issue and to support, empower and enhance the well-being of people on the autism spectrum and their families. The goal is to increase knowledge about autism spectrum disorder and the importance of early diagnosis and early intervention.